Republican Dessie O'Hare has taken up bail as he faces charges of threatening to kill, violent disorder, assault and false imprisonment. 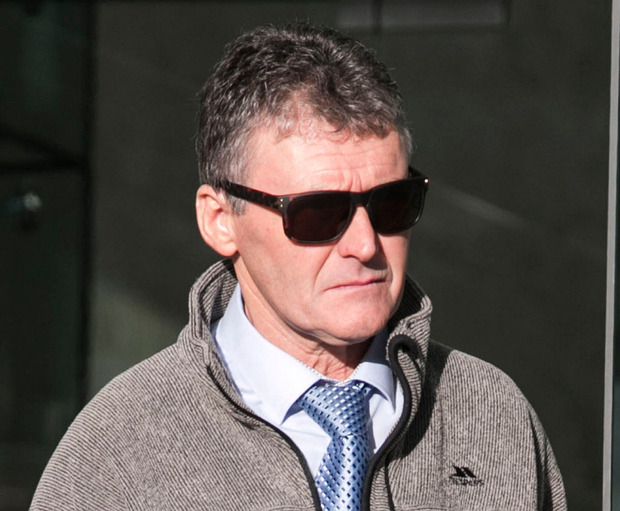 O'Hare (61), of Slaterock Road, Newtownhamilton, Newry, appeared before Judge Alan Mitchell at Dublin District Court yesterday. The charges all relate to an alleged incident at Rathcoole, Saggart, on June 9, 2015. O'Hare was charged last week and remanded in custody with consent to bail in his own bond of €100 and a €20,000 independent surety. At yesterday's hearing, Judge Mitchell noted from defence solicitor Ciaran Mulholland that O'Hare has taken up bail. He has been charged with threatening to kill or cause serious harm and false imprisonment of a man, as well as falsely imprisoning two members of the same family, a male and a female, at a house at The Towers, Garter Lane, Saggart, on the same date. He was further charged with engaging in violent disorder and assault causing harm to another named male at the same location. Gda Insp Columbanus O'Malley asked for an adjournment to allow time for a book of evidence to be completed and said he expected it to be ready in four weeks' time. He also said the adjournment was to see if the Director of Public Prosecutions (DPP) will be granted a certificate for trial in the Special Criminal Court. Judge Mitchell said that because the accused lived in the North and had to travel to Dublin for hearings, it would suit to put the case back for five weeks. He said it would give the State extra time to finish the book of evidence and to see whether the case will be sent forward to the non-jury Special Criminal Court or remain in the ordinary courts. The case resumes at the district court on February 19. Mr O'Hare has not yet indicated how he will plead.